Whether you are hosting a party or a lavish event like a wedding, Fantasia Events, Ajwa Road, Vadodara can surely help you deck up the venue. The experienced team uses various accessories and decorative lights to complement your occasion with the perfect decor. 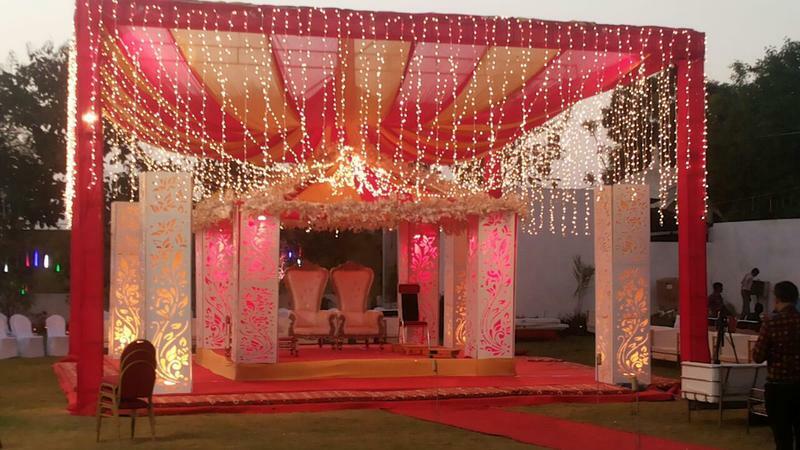 Fantasia Events is a wedding decorator based out of Ajwa Road ( D ), Baroda . Fantasia Events's telephone number is 76-66-77-88-99, Facebook page is Fantasia Events and address is Ajwa Road, Baroda. In terms of pricing Fantasia Events offers various packages starting at Rs 200000/-. There are 0 albums here at Weddingz -- suggest you have a look. Call weddingz.in to book Fantasia Events at guaranteed prices and with peace of mind.